WILMINGTON, Del., April 4, 2019 /PRNewswire/ -- The Siegfried Group, LLP (Siegfried) recently convened a group of its newest professionals in Deer Valley, UT for Orientation. Siegfried's Orientation program introduces the Firm's extraordinary culture, compelling business model, and interesting and challenging work to its newest professionals. During the multi-day event, new employees learn more about the company, meet members of Siegfried's Leadership and Operations teams, and become acquainted with their new colleagues. 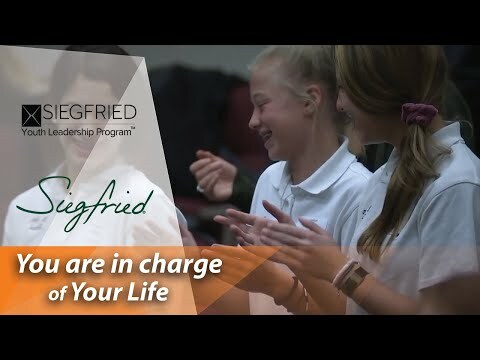 Notably, all new employees have the opportunity to meet with Rob Siegfried, CEO and Founder, to better immerse themselves in Siegfried's higher purpose, which is to help people transform themselves into better leaders to exponentially improve their lives. Siegfried is pleased to welcome all of its talented new Professionals to the Firm. Saba Ambreen, CPA, joins the San Francisco Market as a Senior Manager. She always brings an alternative, yet intriguing, solution to strategic discussions. Ambreen earned her Bachelor of Commerce in accounting, finance, and banking from the University of Western Sydney, started her career at KPMG, and was most recently a Group Finance Manager at BAI Communications. Oyuka Baatarkhuyag, CPA, joins the D.C. Metro Market as a Senior Associate. She is the ultimate team player, proactively assessing and anticipating her teams' needs. She can be counted on to work through challenges with a cheery attitude and an unwavering spirit. Baatarkhuyag earned both her Master of Science and Bachelor of Science degrees in accounting from Binghamton University. She started her career at PwC and was most recently an Auditor at Fragomen, Del Rey, Bernsen & Loewy. John Behr, CPA, joins the Cleveland Market as a Senior Associate. He brings his superior analytical ability and builds strong relationships to reach his clients' goals. Behr, who earned his Bachelor of Business Administration in accounting and finance from Ohio University, was most recently a Senior Accountant at Maloney + Novotny. Jon Belaus, CPA, joins the Denver Market as an Associate Manager. Belaus uses his humility to collaborate effectively with his teams, motivating them to achieve a common goal. He graduated from the University of Connecticut with a Bachelor of Science in Business. Belaus started his career as an Audit Assistant at Deloitte, and most recently served as a Supervisor at RSM. Brianna Bolden, MBA, joins the D.C Metro Market as an Associate Manager. She focuses on maintaining a positive attitude and continuously emphasizes the importance of teamwork. Bolden earned her Master of Business Administration from Oklahoma Christian University and her Bachelor of Business Administration from Langston University. She was most recently a Senior Treasury Accountant at PLH Group Inc.
Justin Bourn, CPA, joins the Denver Market as a Senior Associate. By maintaining a positive attitude, he provides efficient and effective solutions, while motivating and challenging his teams to continually exceed the client's expectations. Bourn earned his Bachelor of Business Administration from the University of Georgia, and was most recently a Senior Associate at EY. Alexander Buckingham joins the San Jose Market as a Senior Associate. He believes in the importance of forming strong relationships with his teams, motivating and collaborating effectively to meet deadlines and accomplish goals. Buckingham, who was most recently a Senior Accountant at Deloitte, earned his Bachelor of Commerce in accounting from Dalhousie University. Andressa Carrasco, CPA, joins the South Florida Market as a Manager. Her unwavering work ethic enables her to step outside her comfort zone, allowing her clients to achieve success. Carrasco earned her Bachelor of Business Administration from the University of Miami, and was most recently an Audit Manager at KPMG. Adrienne Carter, CPA, joins the Detroit Market as an Associate Manager. Self-motivated and passionate, she possesses the mental agility and courage to overcome any obstacle in her way. Carter, who was most recently an Assistant Controller at Pulte Homes, earned Bachelor of Science in accounting from Tuskegee University, and her Master of Science in accounting from Alabama State University. Jackson Chandler joins the San Francisco Market as a Senior Associate. He uses his strong leadership skills and a vibrant mindset to create a positive team environment. Chandler, who was most recently a Senior Accountant at Deloitte, earned his Bachelor of Commerce in finance and accounting from the University of British Columbia. Elaine Cheung, CPA, joins the San Francisco Market as a Manager. By maintaining a positive attitude and strong analytical skills, she challenges her teams to accomplish their goals. Cheung earned her Bachelor of Business Administration and Master in Accountancy from Baylor University. She started her career at KPMG where she was most recently an Audit Manager. Yash Desai, CPA, joins the San Jose Market as a Senior Associate. His ability to integrate quickly into any team and bring people together allows him to provide exceptional results. Desai, who was most recently a Senior Accountant at KPMG, earned his Bachelor of Business Administration from Wilfrid Laurier University. Peter Drohan, CPA, joins the South Florida Market as a Senior Associate. By maintaining a positive attitude and demonstrating his strong leadership skills, he leads by example, pushing his teams towards success. Drohan earned his Bachelor of Science and Master of Science in accounting from the University of Tampa. Most recently, he was an Audit Senior Associate at KPMG. Tyler Durkee, CPA, joins the D.C. Metro Market as a Senior Associate. His ability to be comfortable when faced with problems allows him to adapt to any situation and help his clients succeed. Durkee, who was most recently an Audit Associate at KPMG, earned his Bachelor of Science in accounting from George Mason University. Pablo Gomez joins the South Florida Market as a Senior Associate. He brings his superior analytical ability and ambition to creatively problem solve and reach his goals. Gomez, who was most recently an Assurance Senior Associate at PwC, earned his Bachelor of Business Administration from Florida Atlantic University. Hamed Hakimi, CPA, CA, joins the San Francisco Market as a Manager. He enjoys working closely with others, and is committed to excelling in any environment. Hakimi, who was most recently an Owner of Hakimi Investments, earned his Bachelor of Arts in Business Economics from the University of California Los Angeles. Ali Hayder, CA, joins the D.C. Metro Market as a Manager. With his mental agility and analytical ability, he identifies innovative solutions to new challenges. Hayder, who was most recently an Audit Manager at PwC, earned his Bachelor of Commerce from Macquarie University. He is a technically strong professional who has experience working with global businesses across multiple industries. Taylor Hines, CPA, joins the Denver Market as an Associate Manager. Her passionate work ethic and ambition are contagious and allow her clients to achieve success. Hines earned her Bachelor of Science and Master of Science in accounting from the University of Missouri, and was most recently an Audit Senior at Deloitte. Tyler Hunt joins the Boston Market as a Senior Associate. His commitment and mental agility allow him to adapt to new opportunities, and excel in a wide variety of situations. Hunt graduated from the University of Massachusetts with a Bachelor of Business Administration and Master of Science in accounting and information systems. He began his career at Grant Thornton, where he was most recently a Senior Associate. Tara Kennedy, CPA, joins the D.C. Metro Market as a Senior Associate. She thrives in all situations while creating a positive and motivating team environment that allows her clients' to achieve exceptional results. Kennedy, who was most recently an Audit Senior Associate at KPMG, earned her Bachelor of Science in accounting from Virginia Polytechnic and State University. Matthew Krol, CPA, joins the Philadelphia Metro Market as a Senior Associate. He maintains a positive attitude and mindset and is known for being a synergistic team player. Krol earned his Bachelor of Business Administration from Temple University, and was most recently an Assurance Senior Associate at BDO. Stephanie Lau, CPA, CA, joins the San Francisco Market as a Senior Associate. With her passion and positive attitude, she thrives in challenging environments. Lau, who was most recently a Senior Assurance Associate at Grant Thornton, earned her Master and Bachelor degree in Accounting from the University of Waterloo. Xing Lin, CPA, CA, joins the New York Metro Market as a Senior Associate. Her ambition for attaining excellence combined with her emotional intelligence and genuine attitude enables her to succeed in driving her team to deliver high quality results. Lin, who was most recently a Senior Accountant at KPMG, earned her Bachelor of Business Administration and Graduate Diploma in accounting from Wilfrid Laurier University. Amit Makwana, CPA, MBA, joins the New York Metro Market as a Senior Manager. He maintains a positive attitude while providing his strong analytical skills that challenge his team to accomplish their goals. Makwana earned his Bachelor of Commerce from the University of Mumbai and his MBA in finance and Master of Science in accounting from the University of Hartford. Most recently, Makwana was a Senior Manager at EY. Stacey Meitler, CPA, joins the San Francisco Market as a Senior Associate. By maintaining a positive attitude and utilizing her strong leadership skills, she inspires her team to accomplish goals and deliver on what has been promised. Meitler earned her Bachelor of Science in public accountancy, and most recently worked as an Audit Senior at Deloitte. Susana Melkonyan, CPA, joins the Los Angeles Market as a Senior Associate. Her determination allows her to achieve high-quality results while adapting to challenging situations. Melkonyan, who was most recently an Audit Senior, earned her Bachelor of Science in accounting from California State University. Brandon Mercado, CPA, joins the Charlotte Market as a Manager. His strong leadership skills and desire for excellence helps him exceed client expectations. Mercado, who was most recently a Manager of Financial Reporting, Internal Controls, and Financial Systems, earned his Bachelor of Business Administration in accounting and finance at Grand Valley State University. Brandon Morgan, CPA, joins the Philadelphia Metro Market as a Senior Associate. His positive attitude allows him to work collaboratively with other team members and achieve goals together. Morgan earned his Bachelor of Science in accounting from Pennsylvania State University, and most recently worked as a Senior Audit Associate at KPMG. Navya Nandamudi, CPA, joins the Houston Market as an Associate Manager. Through collaboration with his teams and exercising his strong mental agility, he helps his clients identify additional areas for improvement. Nandamudi earned his Master of Science and Bachelor of Business administration in accounting from Baylor University. Most recently, he was an Audit Manager at KPMG. Angel Nava joins the South Florida Market as a Senior Associate. His analytical abilities and positive outlook allows him to develop innovative solutions. Nava earned his bachelor's and master's degrees in accounting from Florida International University. He started his career at PwC, and was most recently a Senior Internal Auditor at Starwood Property Trust. Jamelle Nelson joins the Los Angeles Market as an Associate Manager. His ability to integrate quickly into any team and bring people together allows him to provide exceptional results. Nelson, who was most recently a Recruiting Manager at VACO, earned his Bachelor of Science in accounting from the University of Southern California. Savannah Nelson, CPA, joins the South Florida Market as a Senior Associate. She maintains a positive attitude, while challenging her teams to accomplish their goals. Nelson earned her Bachelor of Science in accounting from Florida International University and her Master of Science in accounting from University of Central Florida. Most recently, she was an Audit Lead Senior at Deloitte. Brittany Perry joins the Atlanta Market as a Senior Associate. She brings her superior analytical ability and builds strong relationships to creatively problem solve and reach her goals. Perry earned her Bachelor of Business Administration in marketing from Georgia Gwinnett College, and her Master of Science in accounting from Wake Forest University. Most recently, she was a Senior Accountant at US Auto Sales. Craig Thomas, CPA, MBA, joins the Cleveland Market at a Manager. He is people-focused and builds lasting relationships, thereby fostering a collaborative environment that benefits and develops all parties. Thomas, who was most recently an Assurance Manager at RSM, earned his Bachelor of Science and MBA in accounting from John Carroll University. Lawrence Viggiano, CPA, joins the New York Metro Market as an Associate Manager. His diligent and committed nature allows him to excel in all situations, motivating his teams towards a common goal. Viggiano started his career at Deloitte where he most recently was an Experienced Audit Senior. He earned his Bachelor of Science and Master of Science in accounting from St. John's University. Teddy Vomvolakis, CPA, joins the New York Metro Market as a Senior Manager. His unique work ethic and strong leadership approach, enable him to develop trust within his teams. Vomvolakis earned his Bachelor and Master of Science in accounting from Rutgers. Most recently, he was a Senior Manager at PwC. Jonathan Wiggins, CPA, joins the Charlotte Market as an Associate Manager. His dedication to quality, efficiency and adaptability provides extensive value to each clients' unique situation. Wiggins earned his Bachelor of Business Administration in accounting from Francis Marion University and his Master of Science in accounting from the University of South Carolina. Most recently, he was an Audit Manager at Grant Thornton. More information about the Firm and its career opportunities is available at siegfriedgroup.com. Siegfried works alongside financial executives across the nation on their most important accounting and finance projects. Filled with an innovative spirit and led by an ambitious entrepreneur, Siegfried provides unique Leadership Advisory and combines it with high-potential talent. At the heart of our Firm is our approach to individual leadership and the continual pursuit of helping people grow both personally and professionally. As a whole, we value having fun, being fair, and building and sharing stakeholder value.